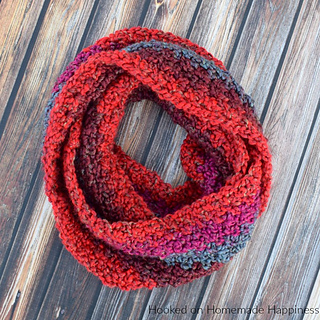 Do you love Lion Brand Homespun yarn? But HATE crocheting with it? Me, too! It’s so hard to see where your stitches are versus the bumps in the yarn. 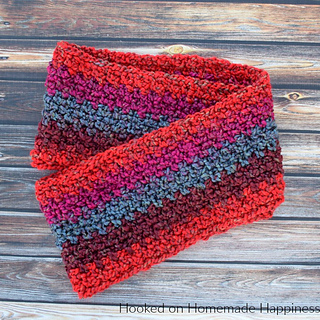 That’s why I made this Homespun Crochet Infinity Scarf Pattern. 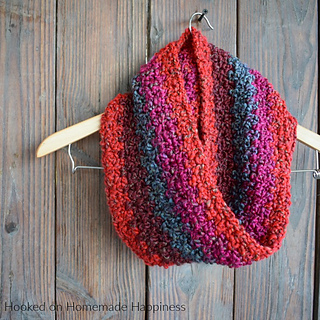 It makes crocheting with Homespun yarn easy. I used a couple tricks to help make crocheting with this super fluffy yarn easier.